Sep 3, 2014 • This month in Nature, an emphatic plea to make more Earth satellite imagery free was made by Michael Wulder, a senior research scientist with the Canadian Forest Service and Landsat Science Team member; along with Nicholas Coops, a remote sensing professor at the University of British Columbia. 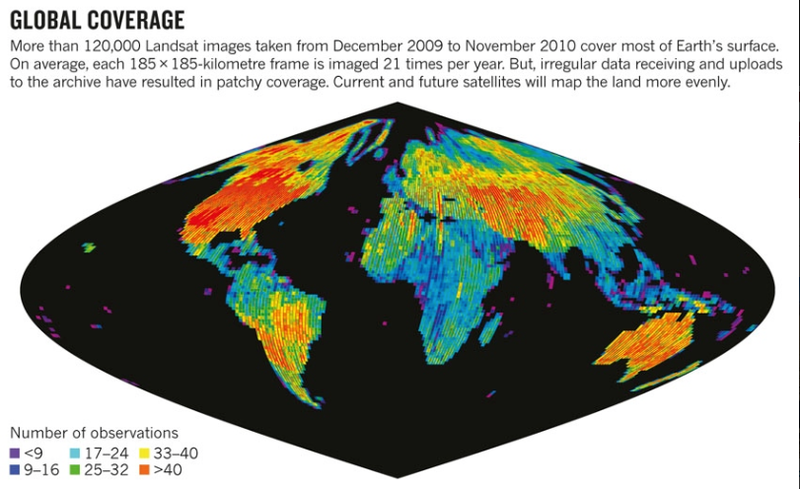 The authors argue that “extensive, regular and consistent” satellite measurements are paramount for conducting detailed assessments of biodiversity loss, ecosystem dynamics, forest degradation, and deforestation. This entry is filed under Data, News, Science Brief.